When will be The Cramp Twins next episode air date? Is The Cramp Twins renewed or cancelled? Where to countdown The Cramp Twins air dates? Is The Cramp Twins worth watching? Meet Wayne and Lucien Cramp. They're 10-year-old twins with zero in common! Wayne likes fighting, collecting weird stuff and stuffing his face with candy. And he's blue - literally! Lucien is a vegetarian who is totally into knitting, studying and saving the world. In practically everything they do, the Cramp Twins are polar opposites. Not surprisingly, each dreams of the sweet ecstasy of a world without the other. Since they're stuck with each other, their lives are a never-ending battle. Together, they're taking sibling rivalry to a whole new level in this offbeat animated series! Launched second season on 4Kids TV in Fall 2003. Nominee for 2002 British Academy Children's Film and Television Awards (BAFTA). Produced by TV-Loonland and based on two graphic novels by Brian Wood. 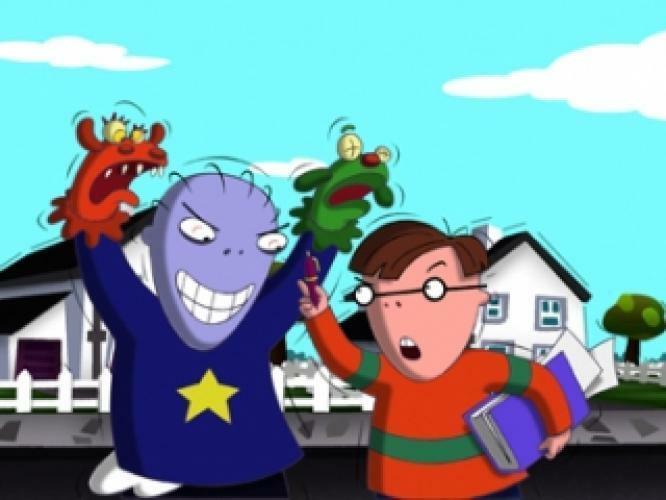 The Cramp Twins next episode air date provides TVMaze for you. EpisoDate.com is your TV show guide to Countdown The Cramp Twins Episode Air Dates and to stay in touch with The Cramp Twins next episode Air Date and your others favorite TV Shows. Add the shows you like to a "Watchlist" and let the site take it from there.